Games these days are getting bigger and bigger and while that’s not necessarily a bad thing, they had humble beginnings. 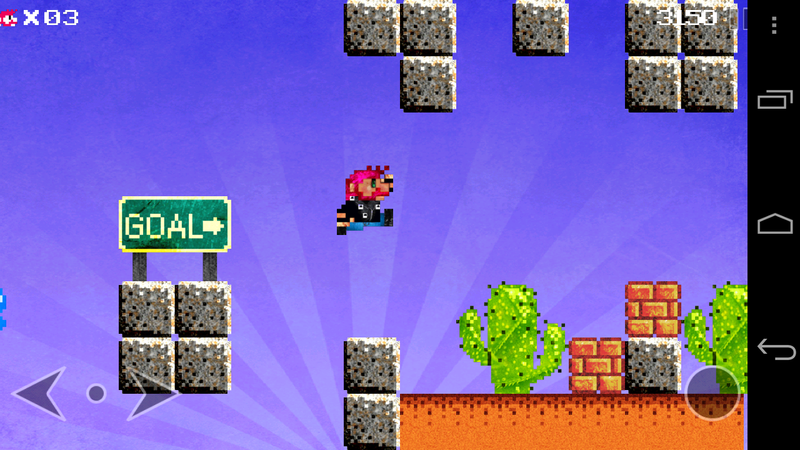 AWESOME Land is a new game that just landed in Google Play that wants you to relive those humble 16-bit days. Packing a unique art style and some pretty snappy controls, this game is certainly one to check out. You play as Manley, a biker man with a plan to get his motorcycle back. Aliens stole it and now it’s up to Manley to go on a head stomping rampage to make things right. Upon first look, the graphics look to only be 16-bit, but HD “photorealistic pixels” actually make the game pretty interesting to look at. And what’s a good platformer without responsive controls? AWESOME Land has some of the most responsive movement that I’ve ever seen from a mobile game. AWESOME Land is $2.50 in Google Play and for the amount of nostalgia and fun that it provides it is definitely worth it. If you are looking to relive the 16-bit glory days give this game a download.